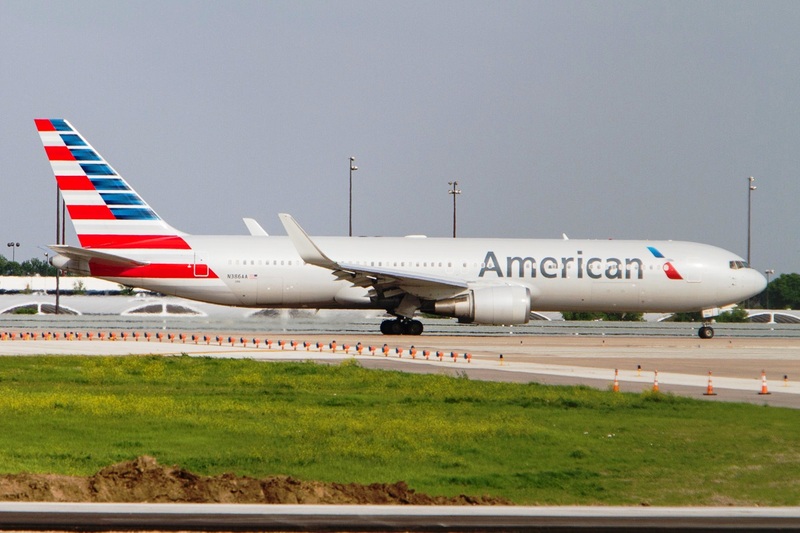 American Airlines has scheduled an additional four flights on its new service between Philadelphia and Dubrovnik, which is set to launch on June 7. The extra flights will run on September 1, 8, 15 and 22, when the seasonal service will end. As a result, the world's largest carrier will operate four weekly flights to Dubrovnik in September, while three weekly services will be maintained in June, July and August. The Sunday flights will operate under the same schedule. Furthermore, Oneworld alliance partner Finnair will codeshare on the route by adding its designator code and flight numbers onto the service. The Philadelphia - Dubrovnik flights will mark the resumption of nonstop scheduled services between the United States and Croatia after 28 years. As previously reported, Dubrovnik Airport expects for American to boost frequencies on the route in the years to come. The flights will be maintained with the 209-seat Boeing 767-300ER aircraft. Good luck Dubrovnik :) see you soon this summer. Emirates should have launched Dubrovnik. You mean Bravo US, it's their company operating the flights, not Croatian. Croatian evonomy earns the tourist revenue without subsidising a flight to the US. So it is Bravo Hrvatska indeed! And American earns the flight revenue, which is bravo US indeed! The only difference this being not economy but aviation blog. If you wish to praise economy (btw except tourism nothing else in croatian economy at least good), please do it on some economy blog. On the aviation blog, it's bravo US for AMERICAN airlines starting and boosting the service. And once again, Croatia Airlines good night and sleep well!!! ! pozdrav iz Rijeke you are in too much pain, visit a doctor soon! Thanks God my health is perfect. No pain, no worries, just very sad because my country which could have been success story, especially its aviation part, is ONE BIG ZERO. If you are OK with it, it says more about you than about me. Cheers! If you think it's good that foreign carriers do 9 million passengers and Croatian 2 fine with me. If you think it's good airlines from Asia and America do passengers to Croatia and flag carrier operates Dasinke, fine with me. If you think is big success North and South Adriatic and Slavonija and Dalmatia don't have at least two daily connections, fine with me. If you think is good ZAG with its market has no LCC's I'm fine with it as well. And so on and so on. Why should we care? As customers we want a reliable way to fly, if OU can't do it then let others who can and who want! OU is too busy being useless and feeding LH hubs. 4 weekly?? WOW Croatia! This is simply unbelievable! Congratulations Dubrovnik, this is all thanks to the remarkable job done at the airport. Hopefully, Zagreb will follow your steps. And Dubrovnik Airport, congratulations and respect!!! @pozdrav iz Rijeke: in a way a good point, however in the 80s the market conditions were much different. Since then we had 3 major changes: ZAG and DBV pax share in the overall worldwide traffic dropped tremendously - 1. today there are 100s of airports that have either caught up or have surpassed both ZAG and DBV; 2. no strong national carrier unlike JAT which was back then equivalent to today's LOT, 3. Star Alliance hubs have made the Balkan regions dependable feeders, making the filed much more competetive for direct connections. I am just wondering who is gowing to be smart to introduce summer connection between DBV and OHD and connect these 2 true jewels in the region. Well OU tried SPU-SKP which is I suppose a much bigger market and it was a total disaster. DBV OHD is more interesting than Split Ohrid for the foreign people. I am shure those flights would be full of Japanese Koreans, Chinese, Russians and Amerikans. I would love to see where are those people who always said DBV is overly ambitious or not serious enough. This is just the beginning! Also DBV numbers grew in march while SPU fell quite a lot. You would have to look very hard since there were no such people. Stop with the victimization. Not very hard as remember that some people complained how Dubrovnik is getting too expensive and too overcrowded and how Turkey and Egypt will affect their numbers and so on? Keep in mind that this is for 1 month. keep in mind that the service is starting this year and is being increased already. It is Philadelphia-Dubrovnik. I understand that. That's why it would make much more sense to increase flights to 4 per week from June to September than increase it to five per week in September like you suggest. Let them keep the same number of frequencies next summer but to increase capacity by sending B77W! Four weekly the whole summer with larger capacity plane most likely. Then maybe five weekly with Dreamliner in 2021. Larger plane would be the 332 as PHL base has just 763 and 332/3 with 788 to come. I don't think ZAG will happen, different market dynamics. I think ZAG will happen, and soon. I don't know about market dynamics but I know the number of passengers starting the flight to various US destinations from ZAG is significantly higher than number of passengers starting the flights to various US destinations from DBV. Enough for me. Yeah yeah flights will happen soon we've been hearing that for a decade now. And I don't know if you had logic classes during your education, but the fact that the flights did not start during the last decade, can absolutely not be the reason why the flights would not start in the future. Both numbers and yields are such permitting the flights to start. Those are my arguments. Which are yours? My argument? Well how about listening to these statements but nothing happening in the end. It's always the same song that's being sung. It's not that nothing is happening. Yes, at first there was this repeating tune of US flights to Zagreb/Croatia, like you said. Then we got AA to DBV 3 times weekly in high season. Now it's increased to 4pw in September. Obviously there is demand. Next year the flights may start earlier and end later. If that performs well maybe it will be enough for them or their competition to consider Zagreb. The things are rolling. Same as it was with Toronto, at first there was Skyservice with a 757 via SNN, then SkyGreece with a 767 1pw direct, then Air Transat with 1pw, now with Transat and Rouge 7pw in high season. And Air Transat was interested in adding a new destination in Croatia too. So from just one transatlantic airline in Croatia with just 1 pw to 3 transatlantic airlines with 11pw in last 3 years, imagine what can happen in the next 3 years. Like I said, market dynamics between ZAG and DBV are different. Different kind of passengers between the two cities. If market was there someone would launch it. Also don't forget that in the US there is no Rouge-like airline to step in and launch flights. Excuse me, which part of 300 000 passengers flying yearly from ZAG to the US you don't understand? You are "jumping to yourself 's mouth", because by your logic, and by what you claim, it is impossible for Dubrovnik to have US flights this year because it didn't have them the last decade. That's why I asked you if you had logic classes. Could you explain me how is it possible for Dubrovnik not to have US flights during the last decade and now to have them, and exactly the same thing is not possible for Zagreb? Waiting for answer. Thank you. And btw. I agree with you about different kind of passengers in DBV and ZAG. Where advantage is entirely on ZAG side. Because DBV can count on American tourists only or predominantly, while ZAG can have tourists, Croatian immigrants from US, transfer passengers from other croatian and ex-yu cities , and some business /diplomatic /nato passengers as capital city, which can actually make not only numbers but yields better than those of DBV. And just one more question for the end : Are Lufthansa, Air France, Swiss, Austrian, KLM, British Airways, Iberia, Brussels Airlines, Aeroflot, LOT, CSA, ELAL, Qatar Airways, Emirates, Korean Air, which all operate from ZAG, are they all Rouge-like airlines? Just asking. And what's wrong in your opinion with Air Canada Rouge? In my opinion they are decent airline. And if you knew something about aviation you would know that all Rouge flights have AC denomination/flight number and they are actually Air Canada. With higher seat density for leisure travel. Jesus Christ, get a grip on yourself. What do those airlines have to do with Rouge when they are completely and totally different, one operates short-haul while Rouge operates long-haul. Rouge is an LCC and has much lower costs than, let's say, Air Canada or United so it's easier to operate out of a lower-yielding market like Zagreb. We keep on hearing so many fairytale stories about ZAG's massive demand and potential for US flights but for 10 years now nothing happened. Yet I am the one who doesn't have arguments, the fact that there are no flights is best argument there is. And yes, DBV and ZAG are fundamentally different since DBV is sold in the US through agencies and well established channels. Dubrovnik like the Croatian coast is a popular destination while ZAG isn't worth the visit from the US alone. If I were wrong then there would be flights by now. Since there are none then it means market isn't that large as is best served via various alliance hubs around Europe. It's not like Zagreb is a major banking or business center so that these airlines can rely on business traffic. 1. All airlines I listed except Aegean operate long-haul, not short haul as you say, and carry transfer passengers from ZAG to US and other long-haul destinations. 3.Again I didn't get answer to my questions. you only keep repeating if there was demand, someone would have started the service already, not telling how come DBV was in the same situation till one month ago. 4.The same way US tourists visit, as you say, whole Adriatic coast, it's possible to visit it flying in to Dubrovnik, or Athens, or Venice, or Zagreb. Tourist agencies sell different packages, and not all people are only after the coast, sea and sun. 5.Destination served via various hubs - true - in the beginning, which later usually becomes direct service, and numbers of transfer passengers for ZAG via various hubs increasing every year. You didn't reply to the most important fact which I stated, and that is 300 000 passengers per year from ZAG to the US. If that is not enough for some company to start the service, OK.
6.Nothing personally against you, we just have different opinions on this case. And who is right and who wrong, I believe we shall see soon. After all no one believed Korean and Emirates would start ZAG and they did. Cheers! What about Ljubljana? 138,000 Americans visited Slovenia last year, and LJU's position also makes it a perfect gateway to northern Croatia, northeastern Italy, and southern Austria -- all attractive and rapidly growing tourist destinations. I meant short-haul into Croatia, not overall. You can't compare these airlines to Rouge because their business model in HR is fundamentally different. Most of those you listed operate regional jets into ZAG while Rouge has to ship its widebody which has more seats and is generally more expensive. Just because they offer business class doesn't mean it's full. Especially since most have the same configuration as economy class except TK and SU though SU downgraded ZAG to SSJ so I don't know if they have a dedicated business on those regional jets. Dubrovnik was in the same situation until a month ago but then it changed because tour operators decided to start selling holidays in ZAG. Those will be primary passengers on the route, they can't do that in ZAG because market demands are different. Are you seriously putting Zagreb in the same group of tourist destinations as Venice and Athens?! lol Millions of people flock to see Athens and Venice because those are true gems, Zagreb is an 'along the way' or a 'city-break' destination and it's probably in the way for most tourists who will be coming from the US and who want to travel along the coast. You keep on mentioning those 300.000 but do you have source for it? Anyone can come up with such numbers and push an argument that favours him. But to play along I will say that those 300.000 are not from a single city in the US but from various parts of the country. Meaning a US carrier will have to fight with other airlines for 100 passengers here, 200 there, 50 over there... and they probably think it's not worth it when it's easier for UA to fly from FRA and get 300 passengers flying to Chicago that were brought by LH and its allies. Well the jury is still out on KE, we heard they had a pretty rough winter so let's see what they do in the end especially now when LO is launching BUD-ICN flights. Emirates already turned ZAG into a summer seasonal destination. I remember when EK launched flights and people attacked anyone who said there isn't demand for whole year flights. Look at where we are today. Tourist numbers in dubrovink so far up nearly 50% this year! I think this should help in bringing another US carrier with another route to Croatia (hopefully ZAG linking with New York). AA is moving international service 767-300ER from JFK to PHL so that might be a reason for extra flights. Interior is very old without seatback IFE screens in economy so why getting all worked up over just four additional flights? AA PRG service is going from 767 to A330 and A330 will be around for a while. 787 will not take over all 767 routes. I think they should build on Plitvice in regards to flights ZG -USA. Dubrovnik narrows you mobility wise.